If you have seen sites like these listed below in your referral site reports, you are currently receiving traffic from SPAM bots or inauthentic referrals (and you are not alone). 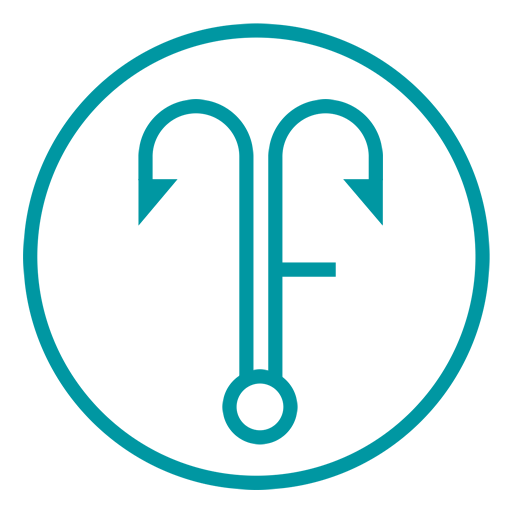 These sites inflate visit (or session) tallies and typically lower qualitative metrics like time on site and pages per visit. They can take an analyst’s mood from “hey, we’re not doing so bad” optimism to “what the hell happened” frustration. 1. Identify existing SPAM bot referrals. 2. Filter these fake referring sites from reports. 3. 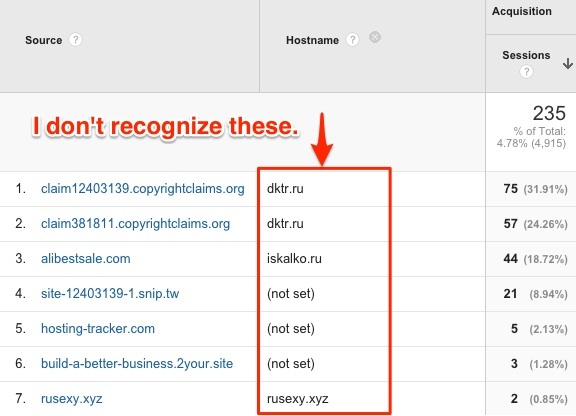 Eliminate these fake sites from showing up in reports in the future. There are a few ways to see what distinguishes the genuine referrals from the phony. A. Check out the Average Session Duration. If a referral is showing a 0:00 time on site, it’s likely spurious. B. You can also check the Hostname of the referral. Between the line graph and table on this report page, you can choose a Secondary Dimension. See below. Type in or select “Hostname” from the options. Your report should now display an additional column in the table for the Hostname value. If this value is either (not set) or not equal to your domain or a domain you don’t recognize, you have identified some Referral SPAM. 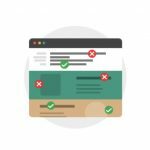 C. The last course of action to identify a fake referral is simply to enter the found domain into a browser. I would do this as a last resort. If it looks like garbage in your reports, it is probably garbage on the Internet. D. Regardless of how you identify these sites, you will want to create a record of them. Either jot them down, save them in a spreadsheet, or simply export your report to an Excel file or Google Sheet for safekeeping (see below). There are two separate kinds of filters to apply. 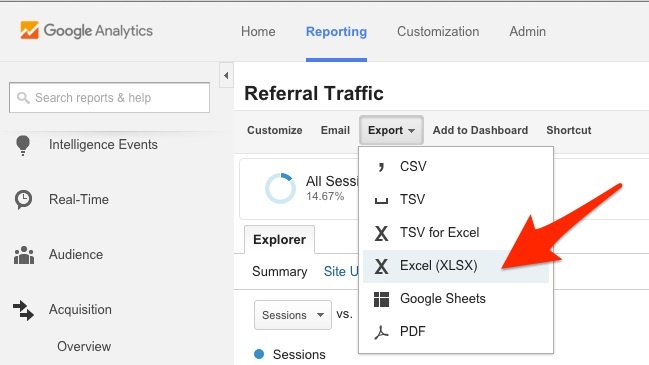 The first will adjust all historical data and allow you to view authentic metrics for past site performance. The second will remove the specious sites from reporting metrics in the future. In this section, we’ll focus on the former. 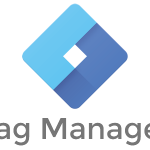 Once you have identified the names of the sites that are mucking up your metrics, you’ll want to create an Advanced Segment. 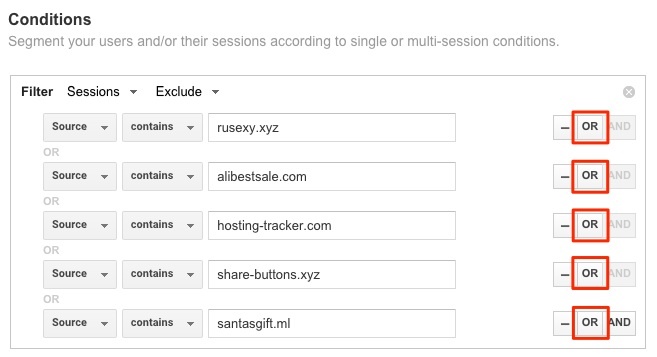 This is just a special filter that will take out all related metrics from the SPAM sites from every report available in Google Analytics. 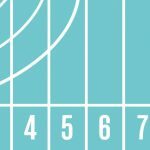 Here is how to create your Advanced Segment. A. Click on the +Add Segment box at the top of the GA Screen. B. Select the bright red +NEW SEGMENT box. 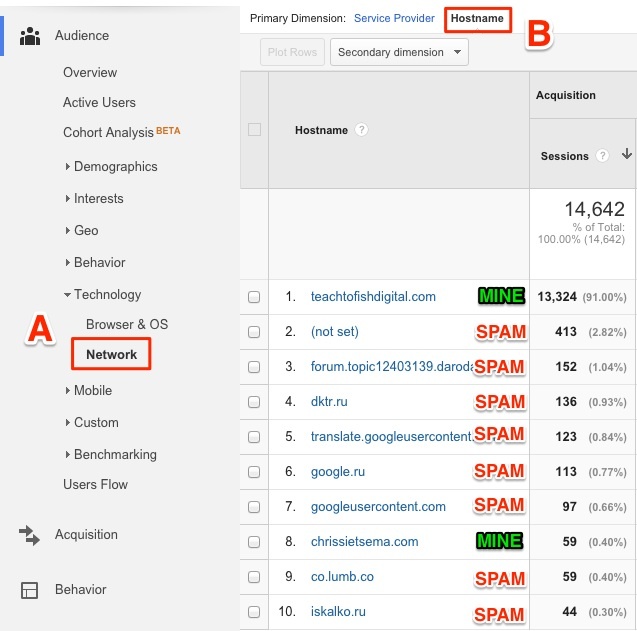 C. Give your new segment (or filter) a name like “Referral SPAM Exclude.” Feel free to call it whatever you want. D. Select the “Conditions” Tab. 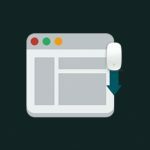 E. Under Conditions, you’ll want to “Exclude” traffic from a “Source” that contains one of the SPAM referral sites that is sending bogus traffic to your site. See the example below. F. If you have more than one SPAM bot that is referring traffic, you can create multiple OR statements. Just click the “OR” button and repeat the process in Step E above for every fake site you have identified. Note: you can also filter these SPAM bots out by Hostname, and there are several other methods for creating these filters. I’m simply showing you the most basic method. If you need help, it’s always ok to contact me. G. Save your segment and apply it every time you look at reports to ensure you are not reviewing faulty metrics. This final step will ensure that the SPAM bots you have identified will not rear their ugly heads in any future reporting. There are a few steps involved here too. B. Select the Hostname option as the Primary Dimension at the top of the table. C. Jot down or export only the domains you recognize (I’ve labeled those that belong to me as “MINE” below). The rest are SPAM. 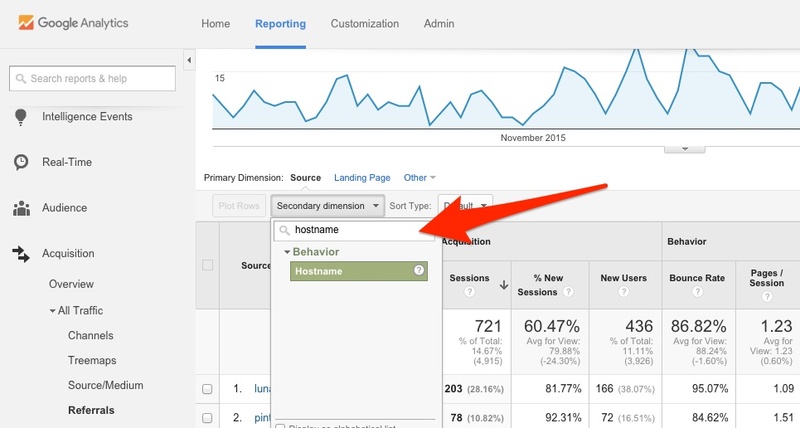 D. Navigate to the “Admin” tab at the very top of the Google Analytics screen. 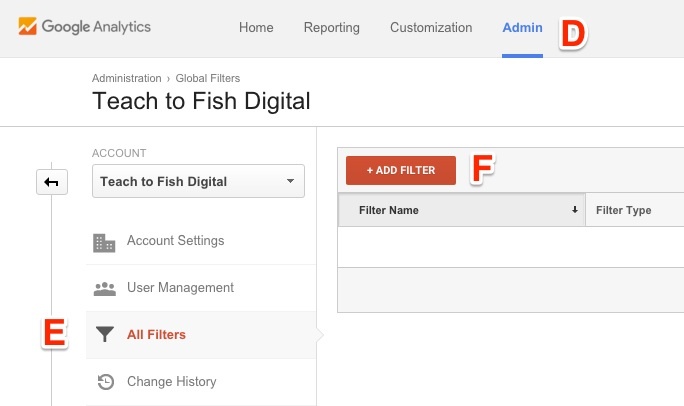 E. Select the “All Filters” option (if available) under the Account column. Please note that you must have proper permissions to proceed from here. If you do not have access to make this change, contact the person who owns the account or has “Edit” access. F. Select the bright red +ADD FILTER Button. 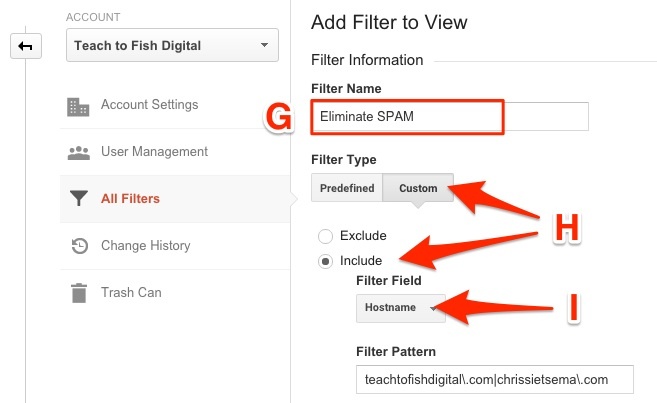 G. Give your new filter a name like “Eliminate SPAM.” You can call the filter whatever you want. H. Choose a “Custom” Filter Type and “Include” from the radio button options. I. Choose “Hostname” from the Filter Field dropdown. Remember: these are just samples for my site. You will want to use your own Hostnames in the Filter Pattern Field. If you add new domains or hostnames to your roster (new site, new microsite, new campaign vanity URL, etc. ), make sure you update this filter. The alternative route is to “Exclude” all the SPAM Referrals or Hostnames, but more will be popping up all the time so that approach can be painstaking. K. Under the “Apply Filter to Views” area, select your site and move it to the right by clicking the “Add »” button. 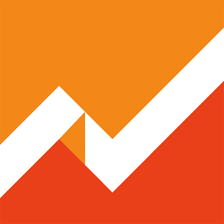 This action will apply your new filter to your preferred Google Analytics account. L. Save the filter, and rest assured that only legitimate traffic to Hostnames you can control will be included in future reporting. This process isn’t exactly fun, but it’s absolutely necessary. Any questions or comments? Hit me up.